Almost everyone has seen an overhead crane, either in person because they work for one of the many industries such as automotive manufacturing, steel production, loading and unloading of ships and trains, or any number of heavy industrial manufacturing plants; or in the movies or on TV. But what many people don’t know is that the overhead crane has been around for over 175 years. The first overhead cranes were steam powered and invented by the German company, Ludwig Stuckenholz, in the 1830’s and were mass produced in the 1840’s. But the first electric overhead crane did not appear until 1876, in the midst of the industrial revolution, in England. 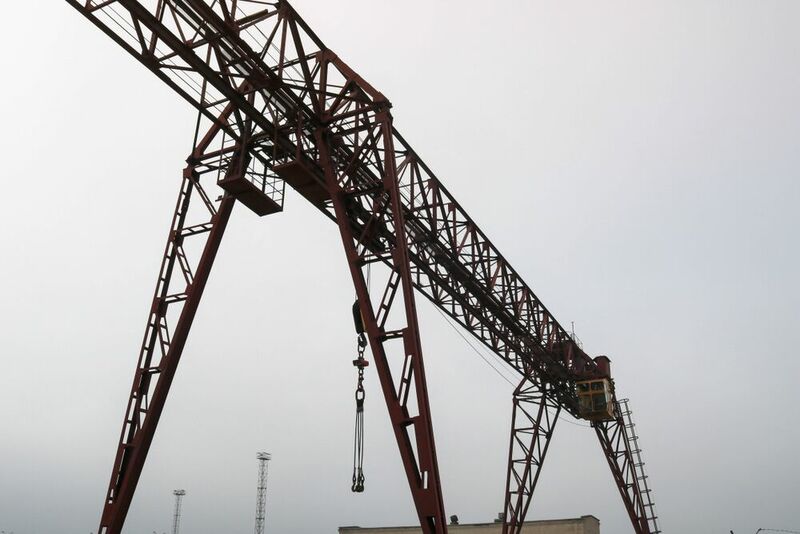 This crane was invented by Sampson Moore, a Liverpool engineer, for the Gun Factory of the Royal Arsenal in London. As you might have guessed, it was used to lift guns, ammunition and explosives. Soon afterwards, electric overhead crane use became widespread, especially in steel production. Further innovations to the overhead crane spurred widespread use throughout the world in many different industries. Inventions such as high capacity winch, electrical control systems, and then mass-produced electric hoists in 1910. Fun Fact – One of the first overhead cranes in the USA remained in service until 1980, and now is on display in a museum in Birmingham, Alabama. Although the basic principles of the overhead crane remain the same, there are new improvements and innovations happening all of the time. Which is why it is important to make sure that your overhead cranes are inspected on a regular basis. Make sure that they are always in working order before it becomes a problem. We are specialists in overhead crane inspection and repair. It doesn’t matter if it’s a jib, gantry or monorail crane. We can inspect them and repair them. Contact an overhead crane inspection and repair specialist today by completing our online form on our Contact page, or giving us a call at 1-800-829-7454.